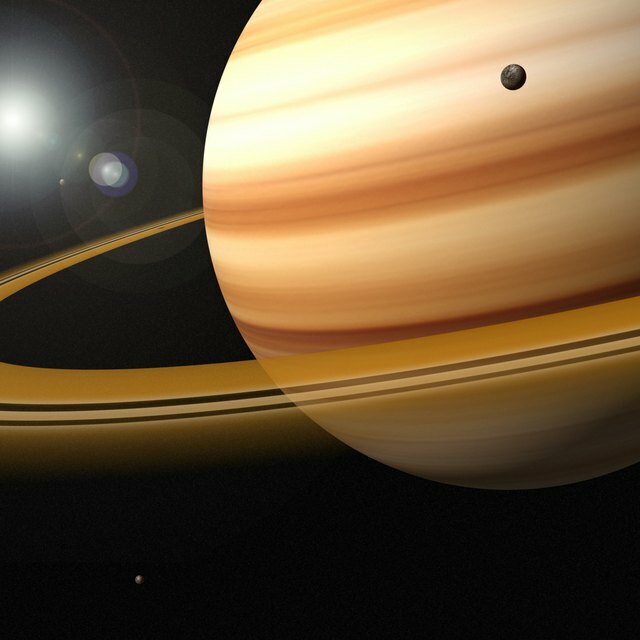 Can Anyone Live on Saturn? 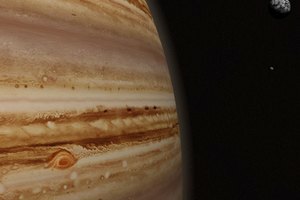 What Types of Landforms Are Found on Jupiter? 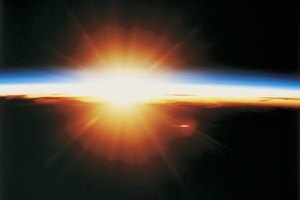 How Long Could Humans Survive if There Was No Sun? Why Is the Sun So Bright? Can Rovers Land on Saturn? Rovers can't land on Saturn, but they can land on Saturn's moons. As seen from Earth, the layer of yellowish clouds encircling Saturn is opaque, and it's easy to imagine that they cover a solid surface on which a rover could land. After all, that's the case with Venus, Earth's closest neighbor in the solar system. Saturn is a far different planet, however. If there is any solid ground, it is near the planet's core, where conditions are far from suitable for rovers to explore. Like Saturn, Venus has a continuous cloud cover, and it also has a yellowish tinge caused by the presence of sulfur in the upper atmosphere. Once a rover got through Venus' cloud deck, it would only have to travel 50 to 60 kilometers (31 to 37 miles) to reach solid ground, although it would probably burn up before it got there. A rover traveling through the cloud deck of Saturn, on the other hand, would just keep encountering clouds of changing composition until the atmospheric pressure became great enough to crush it. Saturn's atmosphere is 75 percent hydrogen and 25 percent helium, but it also contains trace amounts of other elements. Besides the yellowish sulfur in the upper atmosphere, there are small amounts of nitrogen and oxygen, and these elements combine to form complex molecules commonly found in smog. The planet's troposphere, which is the part of the atmosphere in which weather happens, has three cloud layers. 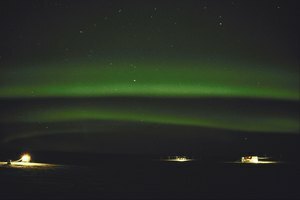 The clouds in the upper layer contain high concentrations of ammonia, while those in the middle layer contain ammonium hydrosulfide. In the lowest layer, where the temperature warms to the freezing point of water, water vapor clouds are prevalent. A rover descending through Saturn's atmosphere would first have to contend with some of the strongest storms in the solar system. Winds at the planet's equator have been clocked at 1,800 kilometers per hour (1,118 miles per hour). Things would settle down at lower altitudes, but the atmospheric pressure becomes so great that hydrogen begins to liquify. A layer of liquid helium -- which is heavier -- settles underneath that and finally, going deeper, hydrogen turns into a solid called metallic hydrogen. Beyond that, scientists believe exists a rocky core about 10 times the mass of the Earth. Saturn's moons provide a far more hospitable environment for rovers than the giant planet itself, and in fact one probe has already landed on Titan, the largest moon. The European Space Agency's Huygens probe landed safely on solid ground in 2005, sending back pictures both before and after touchdown. The probe was launched from NASA's Cassini spacecraft, which in 2013 was still orbiting Saturn and relaying information about the planet's moons and rings. Cassini launched in 1997 and entered Saturn orbit in June 2004. 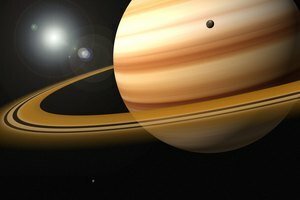 Since the beginning of the mission, NASA has compiled the data generated by Cassini and published it on a dedicated website. 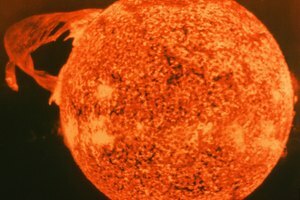 What Is Meant When Our Sun Is Referred to as a Second-Generation Star? Deziel, Chris. "Can Rovers Land on Saturn?" 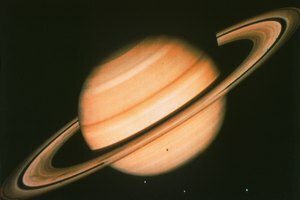 Synonym, https://classroom.synonym.com/can-rovers-land-saturn-35206.html. 26 September 2017.